Pick-up and delivery of rugs in Annapolis! Cunningham’s Rug Cleaning is a premier rug cleaning company serving Annapolis. Contact us for the ultimate in care and deep cleaning of oriental, Persian or other area rugs. We use specialized hand washing and compressed air to clean oriental, Heirloom and Designer area rugs. Ensure your beautiful heirloom rugs last for generations with the proper cleaning and care provided from trained experts in oriental rug cleaning. As Maryland’s only Certified Master Rug Cleaners, we understand the attention and care fine rugs need throughout the cleaning process. Our cleaning methods are safe and time tested to preserve your rug while removing the dirt, dust and debris that can damage the backing, pile and fibers. We serve Annapolis with one of the very few Turkish bath rug-washing systems in the country. At Cunningham’s Rug Cleaning, we prefer full submersion cleaning in our Turkish bath whenever possible. This method uses a mixture of detergents, cool water and hydraulic motion to gently yet thoroughly clean oriental rugs, Persian rugs and any other rugs that are appropriate to clean in this manner. For drying, we use a dual centrifuge to rinse and dry your rug and hang the rug overnight to finish the drying process. This specially designed bath and drying method offers the deepest and most gentle cleaning possible. At each stage of the rug cleaning process your rug receives personal attention from a trained technician. From dusting to drying, our cleaning process follows a six-step process where we hand attend to each aspect of the rug cleaning. The entirety of our rug washing services are performed with the highest quality care and attention and ensure you achieve the safe, thorough and deep cleaning results you demand. No harsh chemicals or damaging techniques are ever used, ensuring your rug is safe for children and your home! 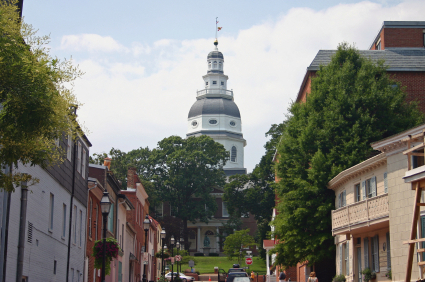 The higher humidity of Annapolis can take its toll on your precious heirloom rugs. Cunningham’s Rug Cleaning serves the unique needs for the type of rug cleaning which Annapolis residents require. Not all commercial or residential carpet cleaners have the knowledge, equipment or care to handle the task of safely cleaning oriental or Persian rugs. As experienced rug cleaners with specific training and knowledge in the care of such rugs, we know the correct processes to use to not only clean the rugs and restore them to like-new condition, but also possess the equipment to work with the rug so no fibers will be harmed or change the pattern. Cunningham’s Rug Cleaning is the only rug cleaning company serving Annapolis to earn the Master Rug Certification. At Cunningham’s we also offer a wide array of rug restoration services. Your heirloom rug will be passed down for generations with the proper care and cleaning that you will receive from us. For the best in customer service, one of things that distinguishes Cunningham’s Rug Cleaning from our competitors is that we pick up and deliver all over Annapolis, all of Maryland, Delaware, Washington DC and Northern VA. Contact us today to schedule your rug cleaning.